Senate Majority Leader Harry Reid issued a statement pertaining to the growing scandal surrounding the Taliban for Traitor trade. It stated that Bowe Bergdahl was actually captured because of the Koch Brothers and now the scandal that threatens to utterly bring down the Obama Administration is being orchestrated by the evil duo. 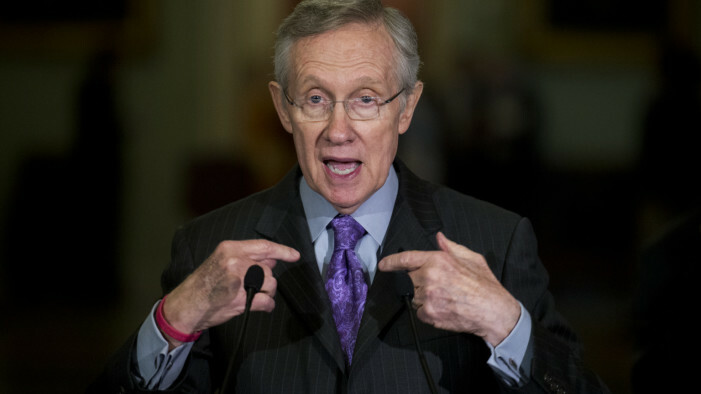 In Harry’s world, it’s all Koch all the time. The statement goes on to allege that Koch Agents had actually infiltrated Bergdahl’s unit and were persecuting him for his faithful support of the president. The Koch Agents were acting as if they were actual soldiers, but Harry Reid stated that he has evidence to be produced at a later date to the contrary. These, so-called soldiers were actually trained agents of the spawn of hell, the Koch Brothers. The Senator’s office claims to have surveillance footage of illegal black ops style Koch training sites. These sites brainwash people into believing in capitalism, the founding fathers, freedom, and the outdated idea of American Exceptionalism. It is alleged that these Koch operatives singled out Bergdahl for persecution and actually set up the entire fiasco. Another unseen document is said to be an email stating how the Koch operatives tricked Bergdahl into leaving his rifle behind and going out to pick some flowers for the barracks with only his knife and a journal. When asked if he thought Bergdahl was a traitor Senator Reid stood and tossed his microphone to the floor, “What are you, one of those Koch Brothers operatives? I’m out of here.” He was no longer available for comment.